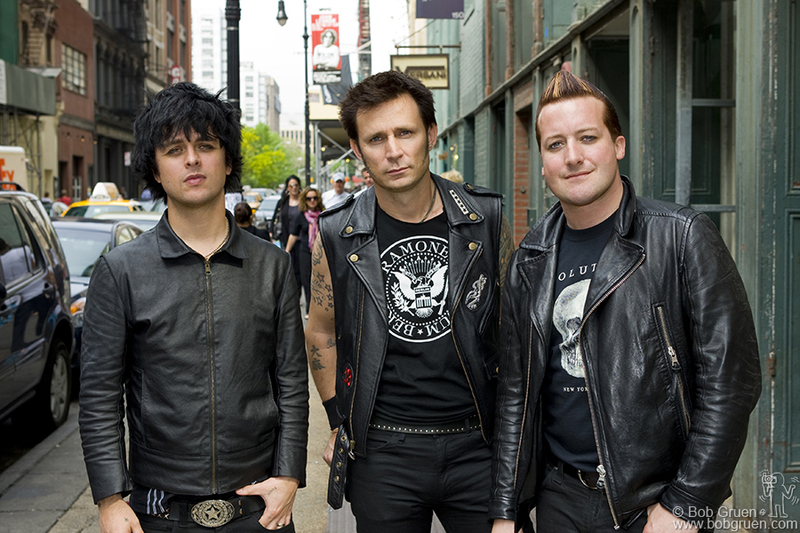 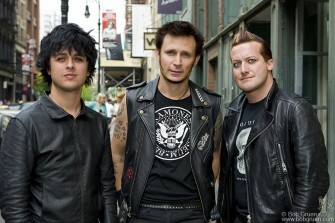 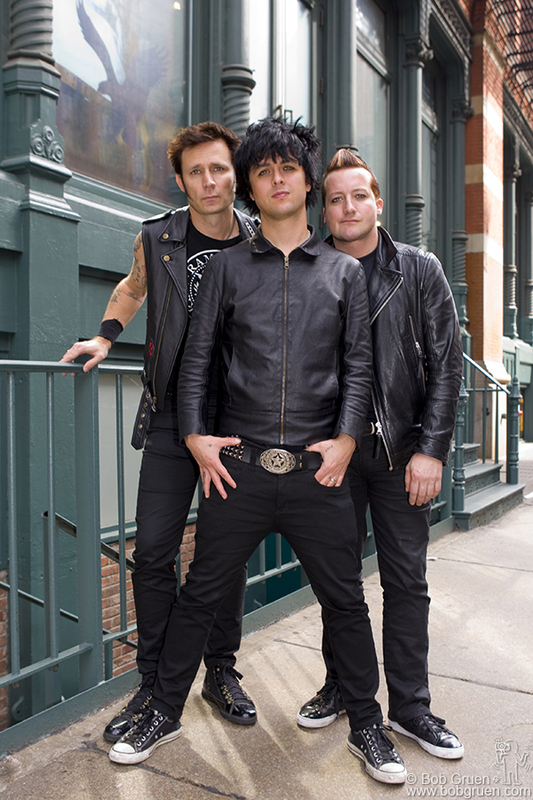 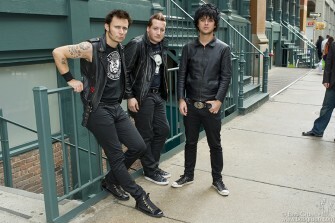 May 16 – Green Day on the street in Soho. 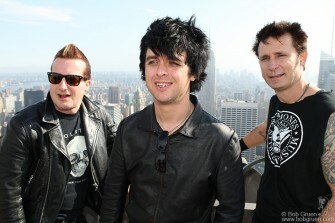 May 16 – Green Day at Top of The Rock. 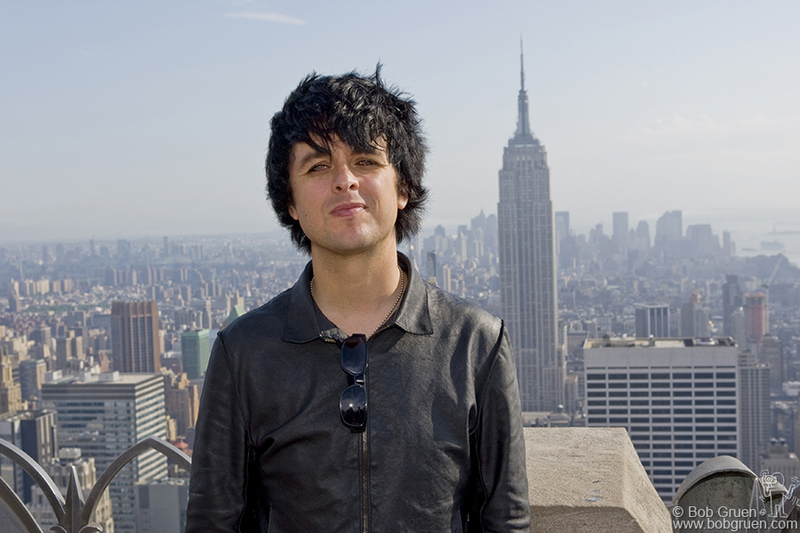 May 16 – Billie Joe Armstrong at Top of The Rock. 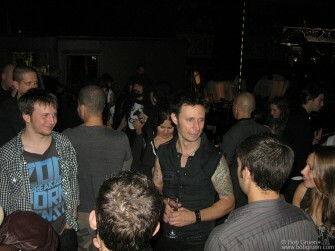 May 16 – Mike Dirnt at Top of The Rock. 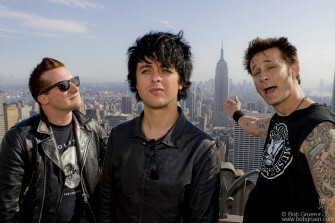 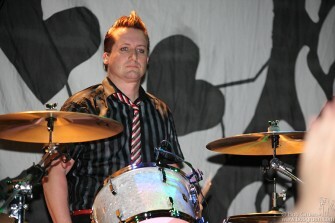 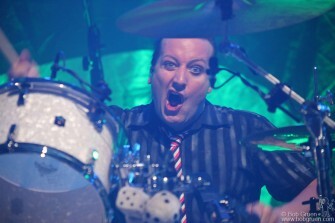 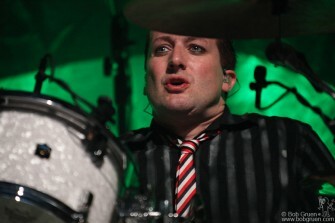 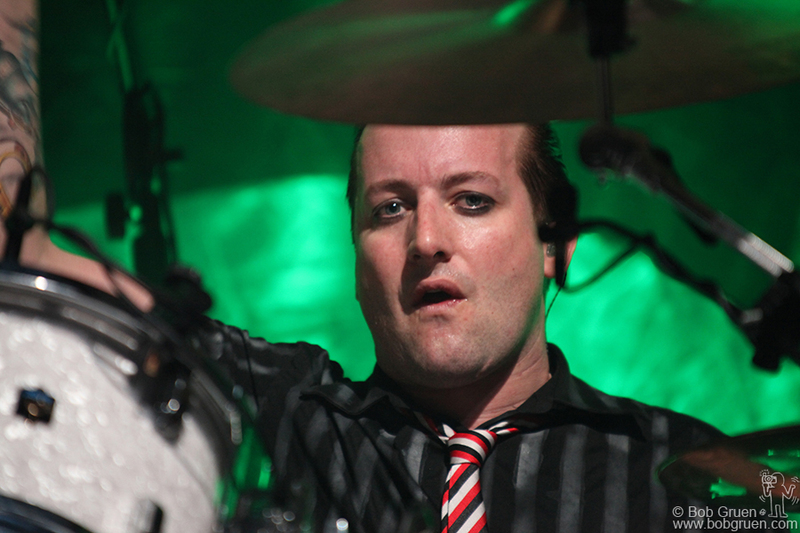 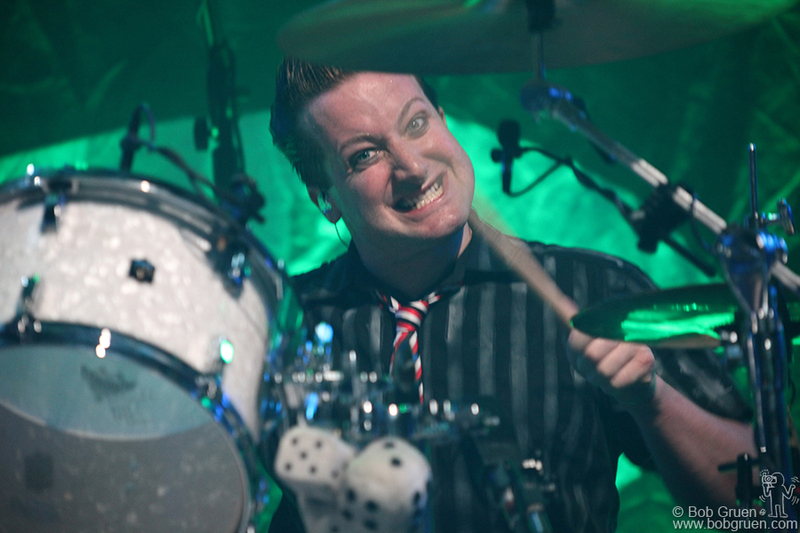 May 16 – Tre Cool at Top of The Rock. 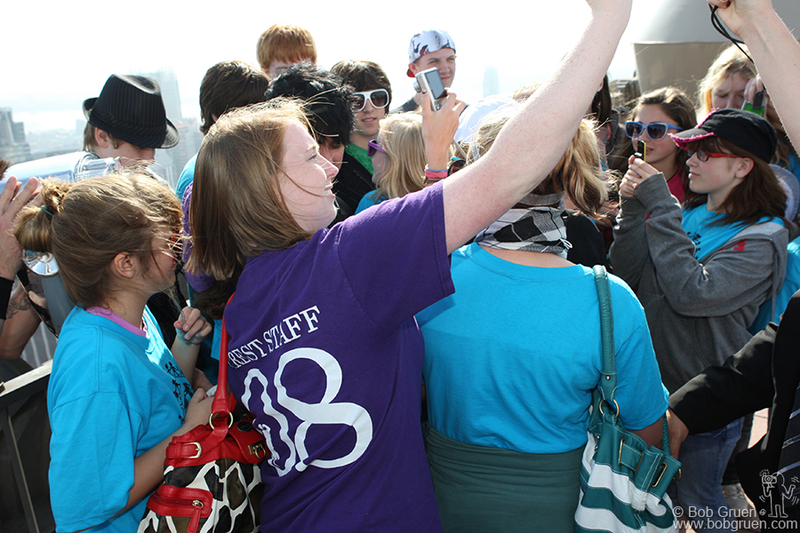 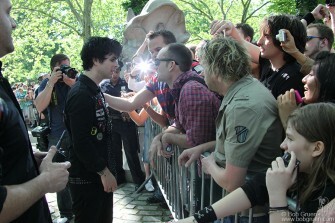 May 16 – Green Day Fans at Top of The Rock. 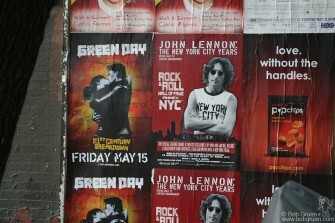 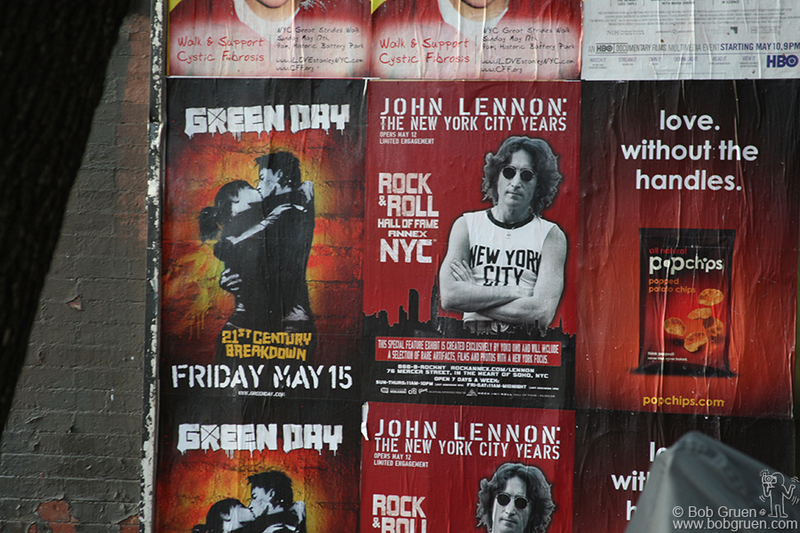 May 16 – Advertisements for Green Day’s ’21st Century Breakdown’ and ‘John Lennon: The New York City Years’ at the Rock & Roll Hall of Fame Annex. 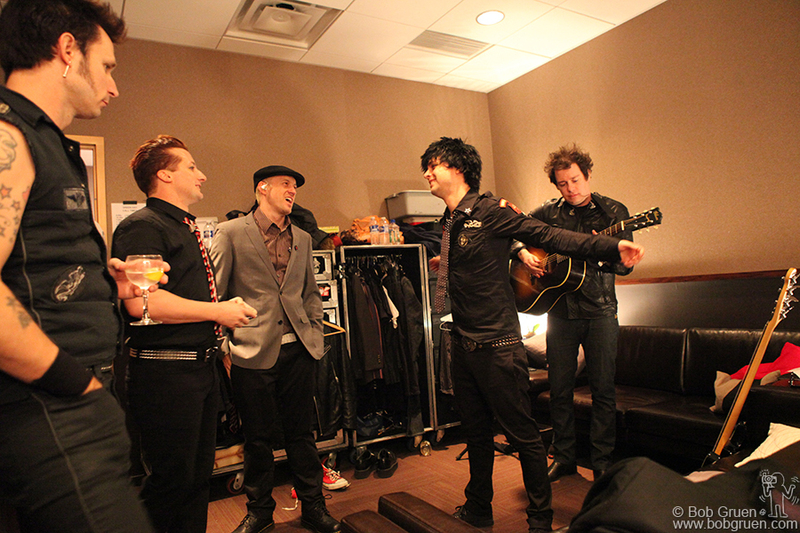 May 18 – Green Day backstage at Bowery Ballroom. 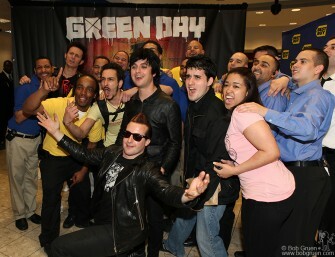 May 15 – ’21st Century Breakdown’ CD signing at Best Buy. 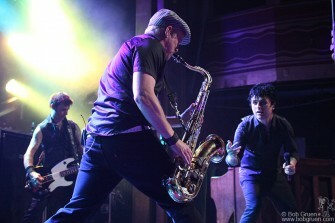 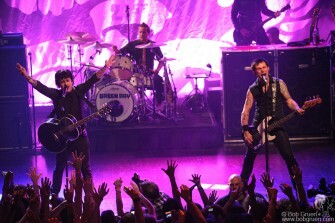 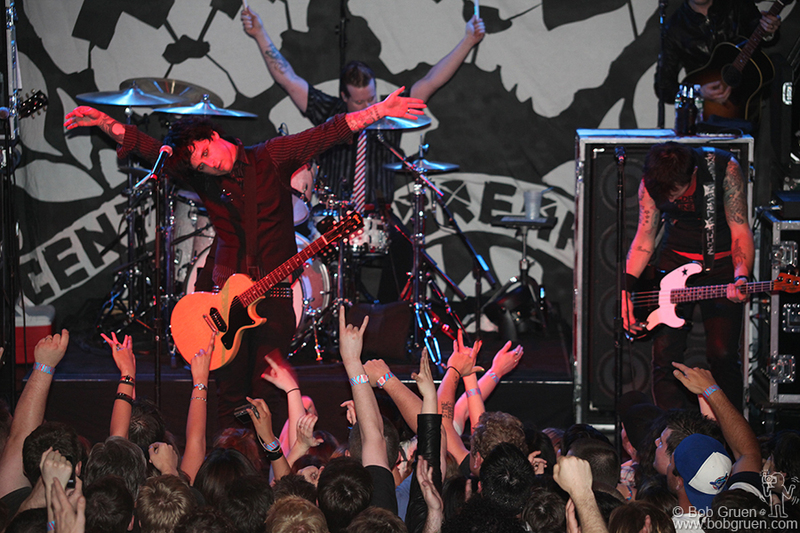 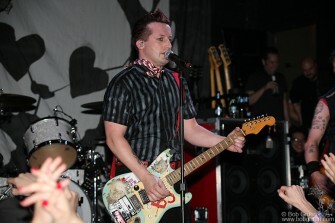 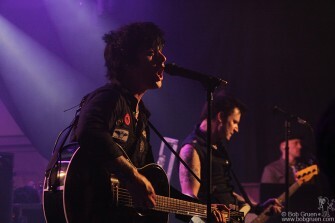 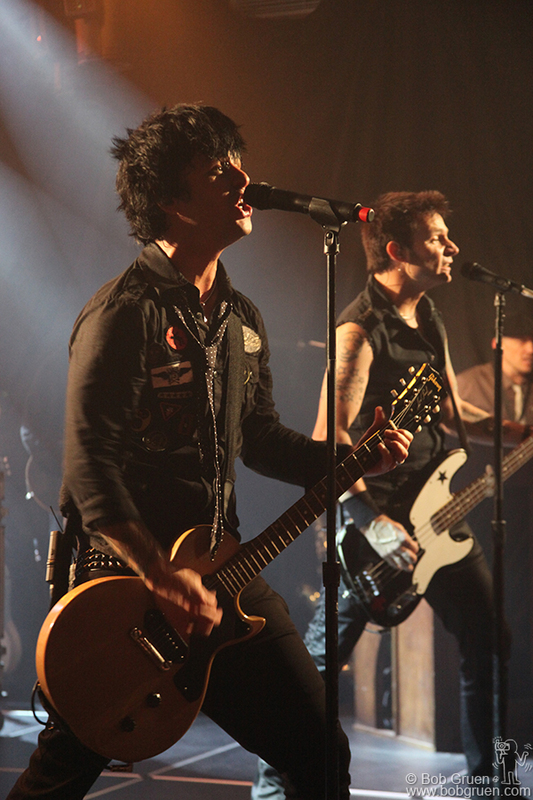 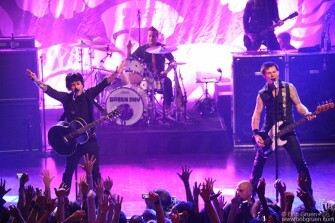 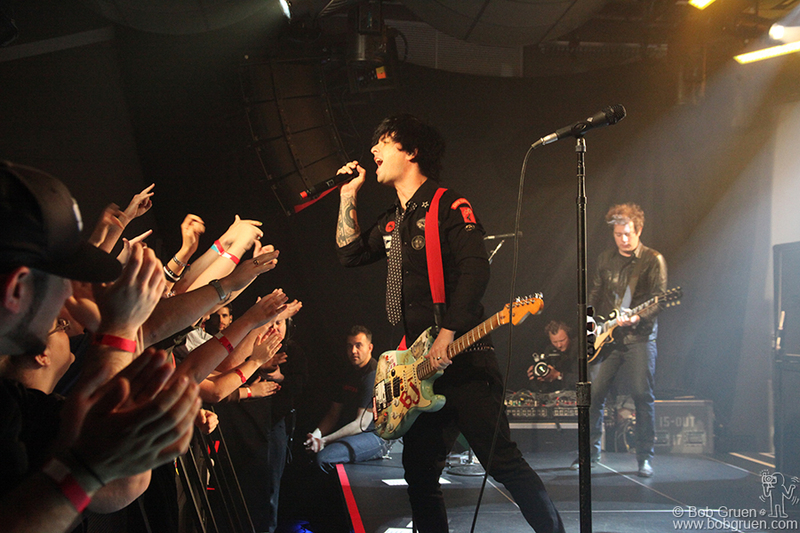 May 18 – Green Day at Bowery Ballroom. 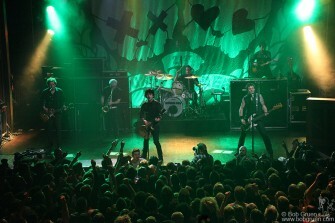 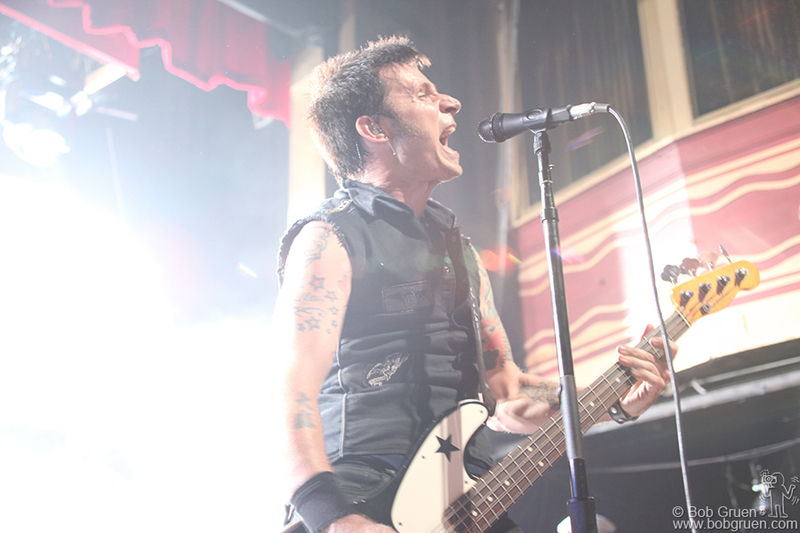 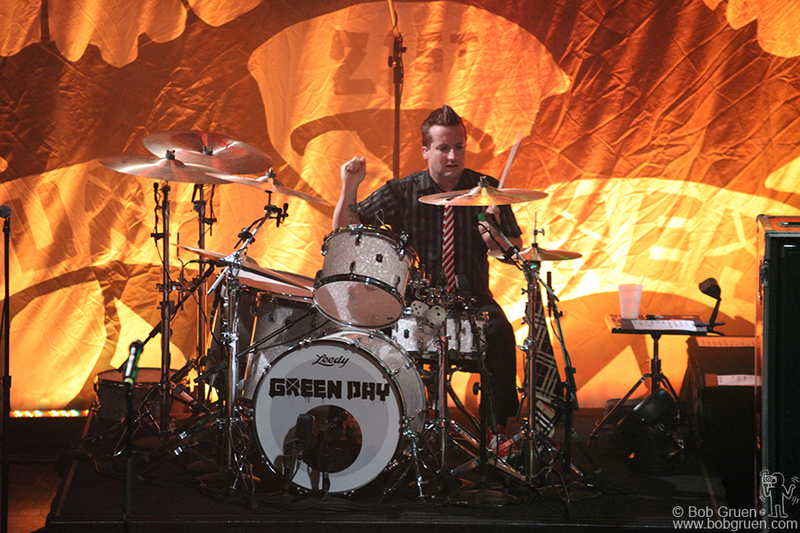 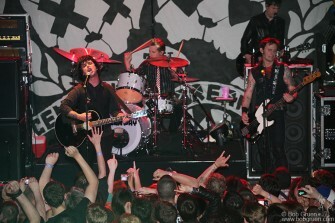 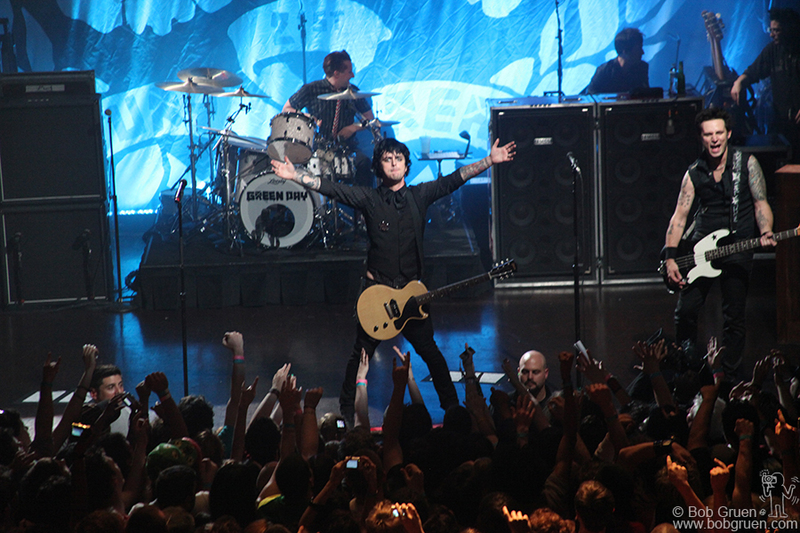 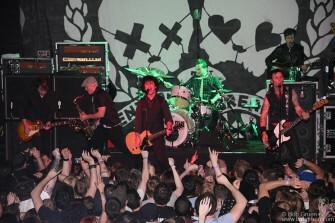 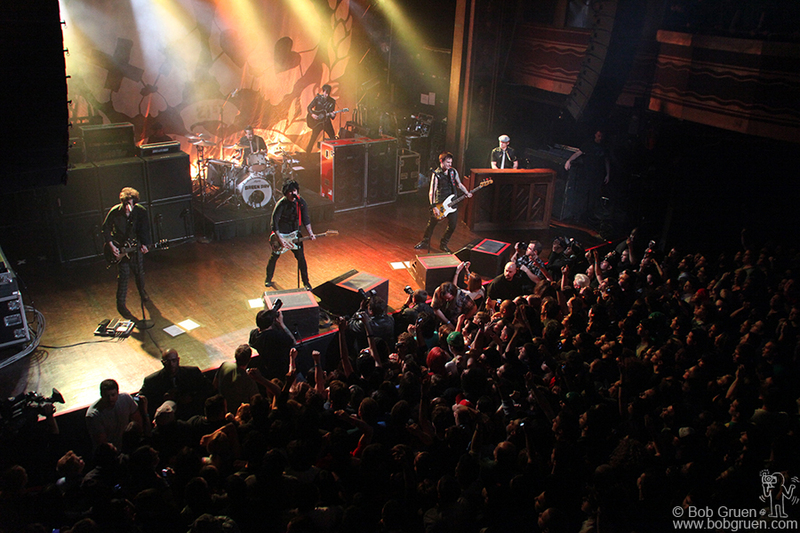 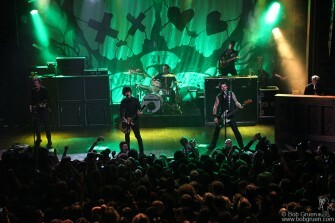 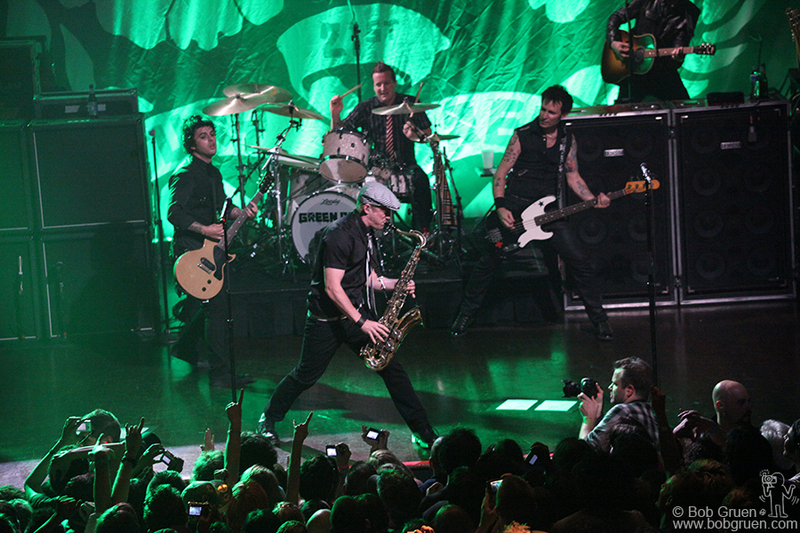 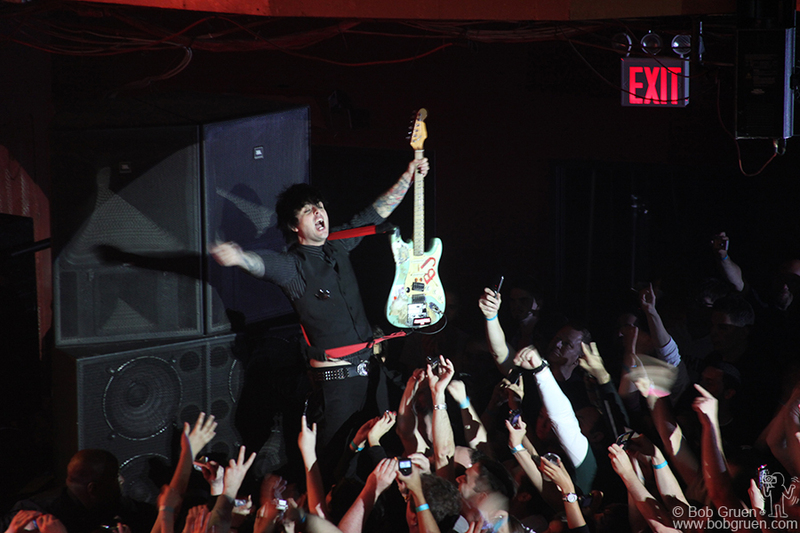 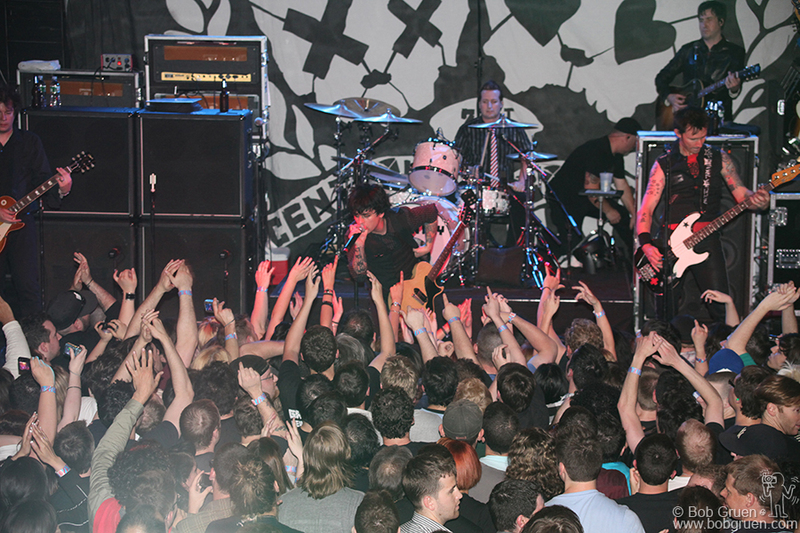 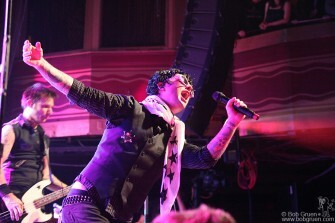 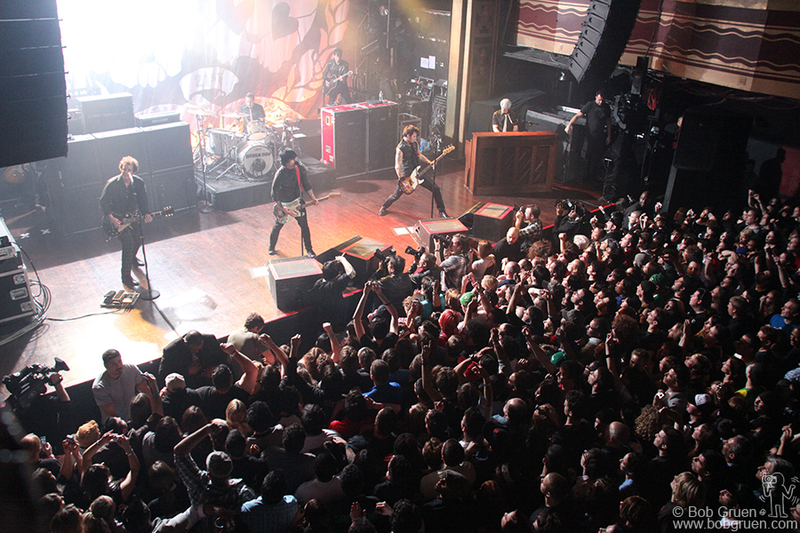 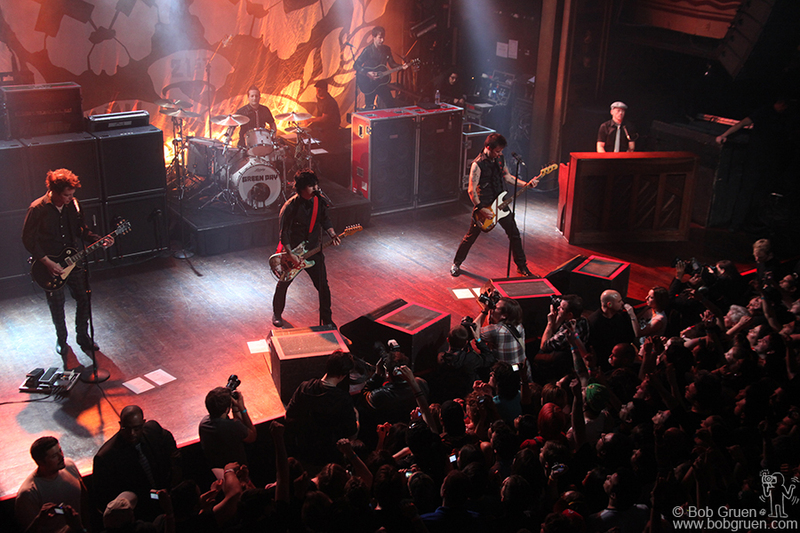 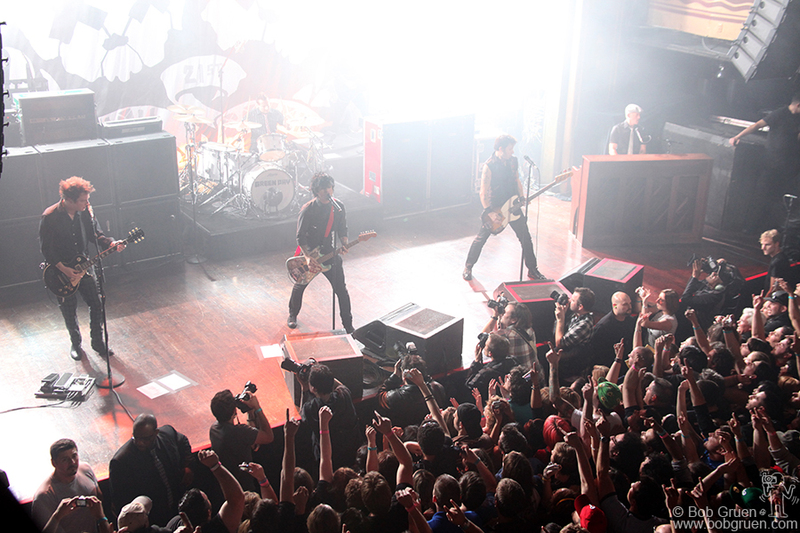 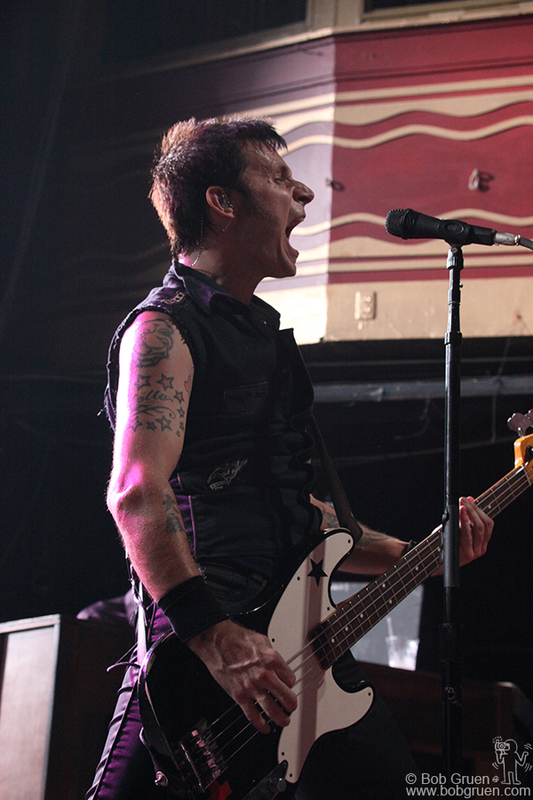 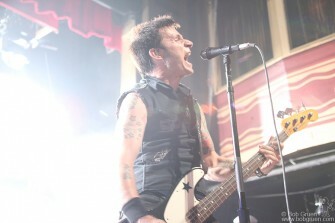 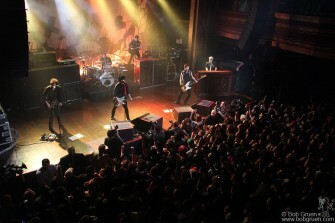 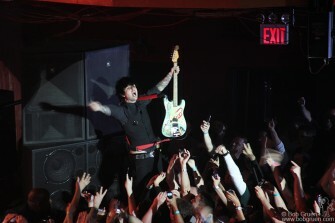 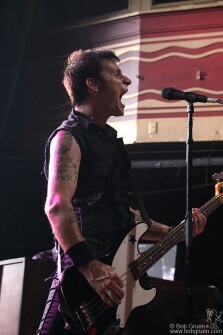 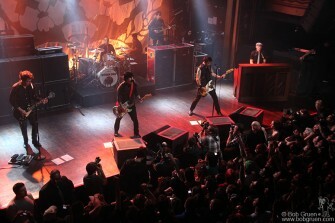 May 19 – Green Day at Webster Hall. 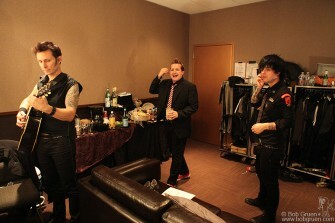 May 20 – Backstage at PC Richards Theater. May 20 – Green Day at PC Richards Theater. 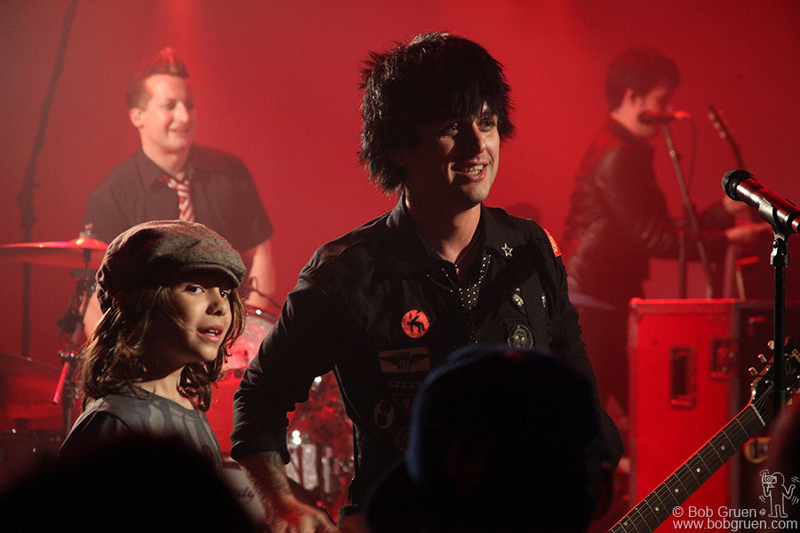 May 20 – Young fan Jake crowd-surfed to the stage to meet Billie Joe. 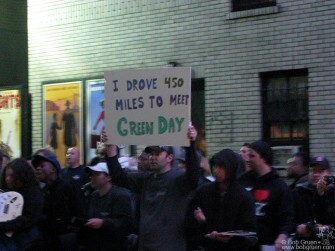 May 18 – Green Day fans outside of the Late Show with David Letterman. 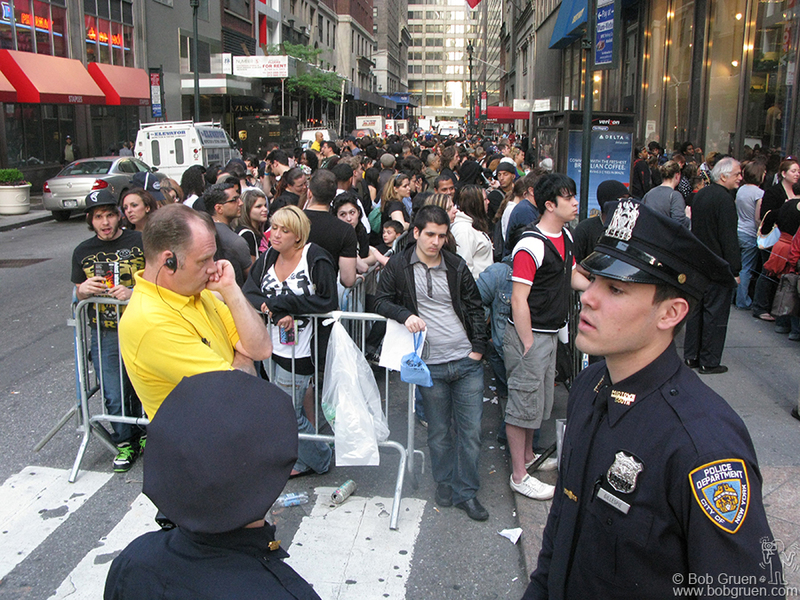 May 15 – Green Day fans waiting to get into the ’21st Century Breakdown’ CD signing at Best Buy. 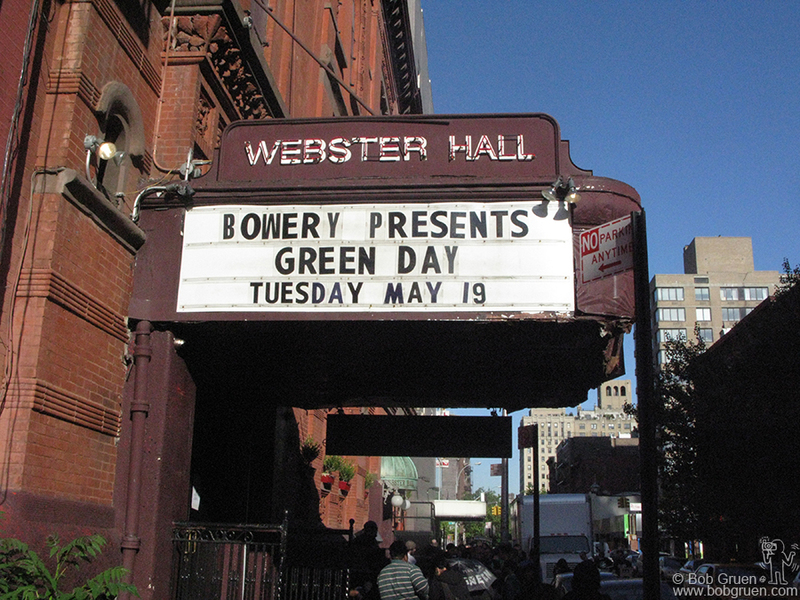 May 19 – Green Day on the Webster Hall Marquee. 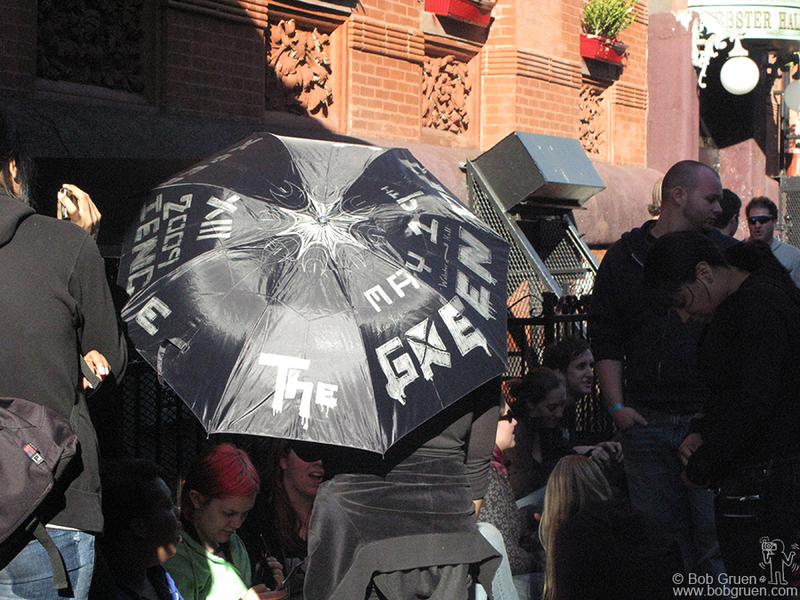 May 19 – Green day fans outside of Webster Hall. 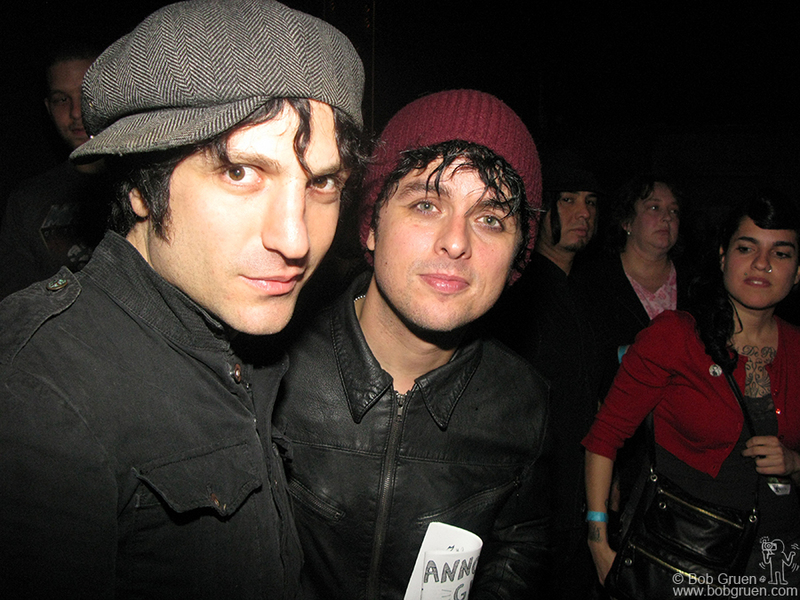 May 19 – Jessie Malin and Billie Joe Armstrong after the Green Day show at Webster Hall. May 19 – Mike Dirnt and fans after the Green Day show at Webster Hall. 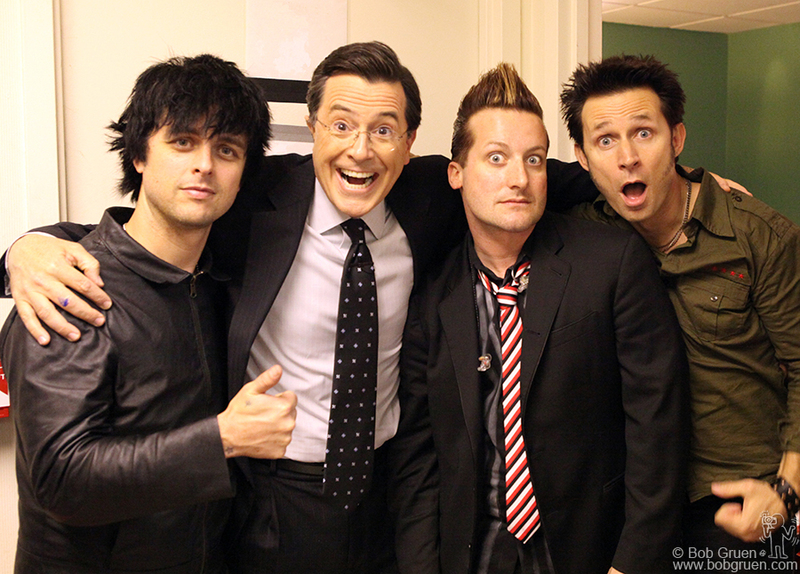 May 21 – Green Day with Stephen Colbert backstage at the Colbert Report. 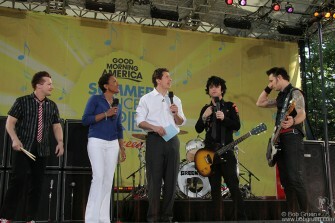 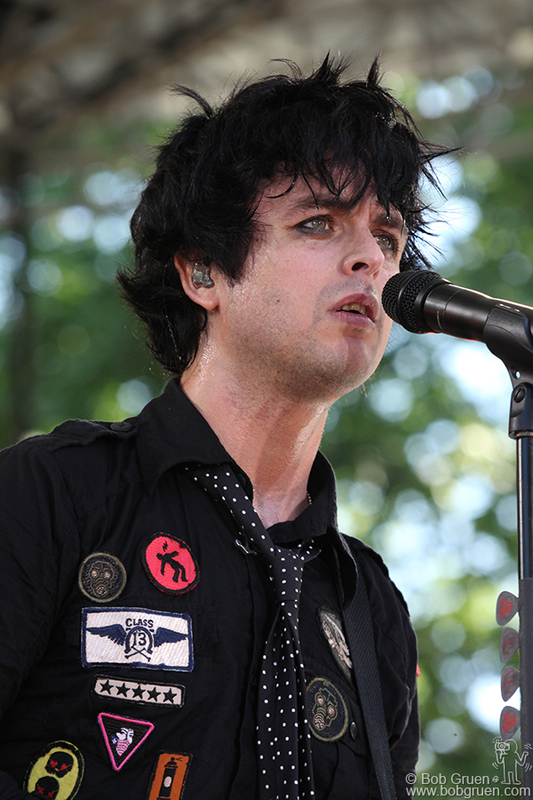 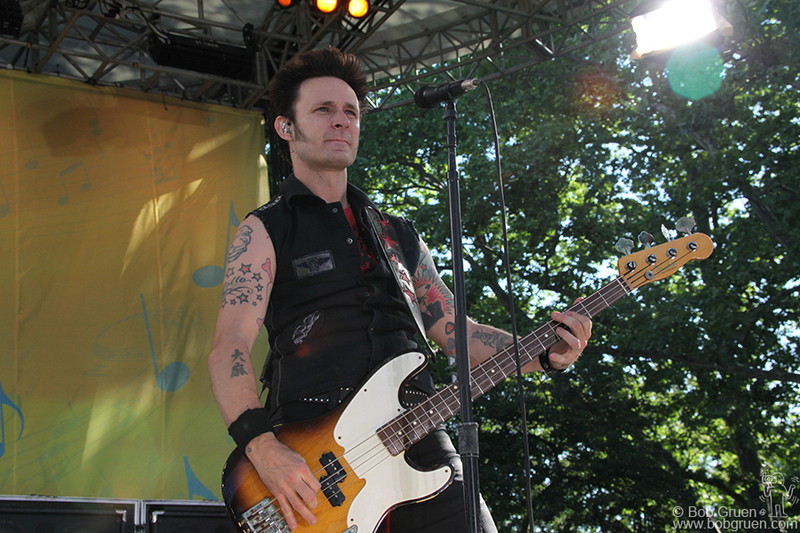 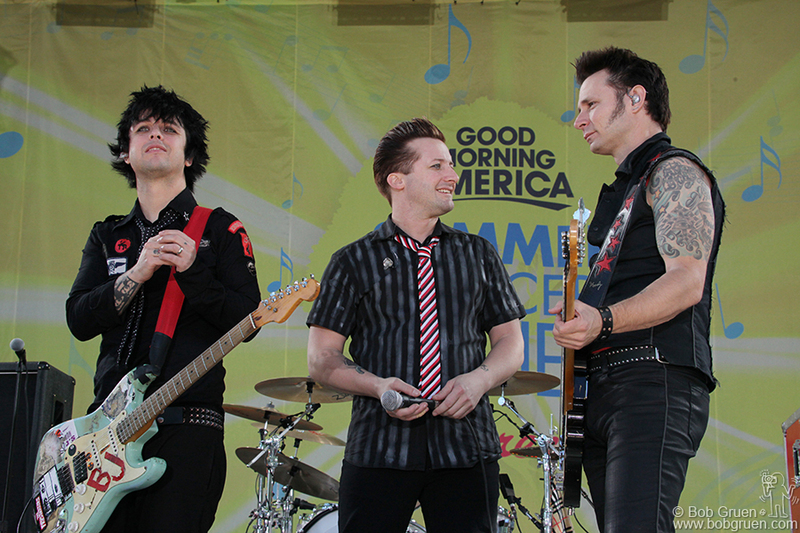 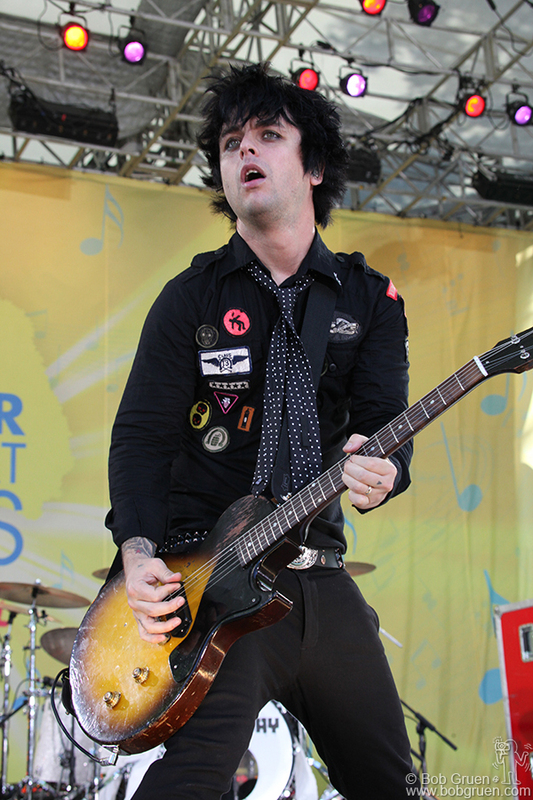 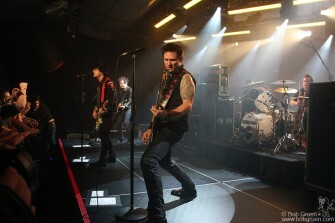 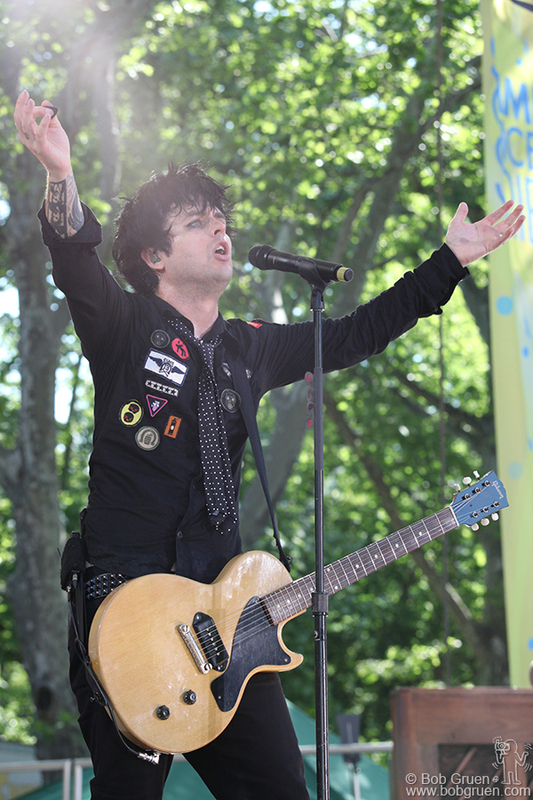 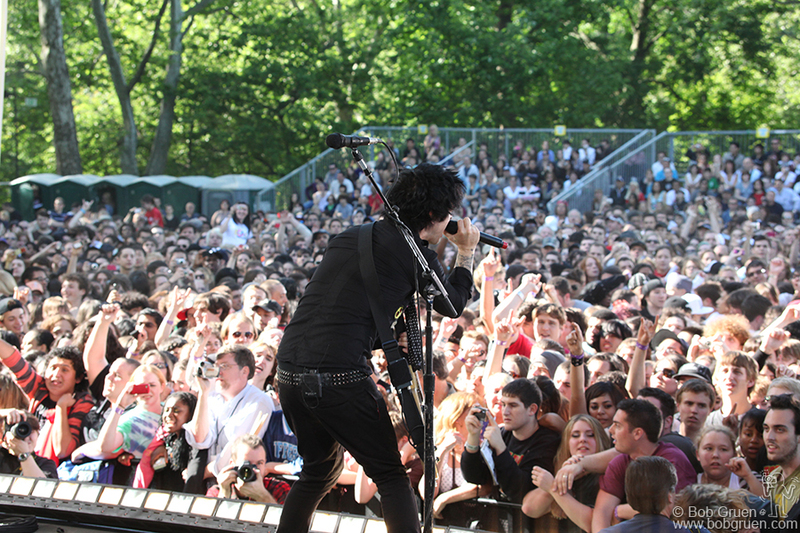 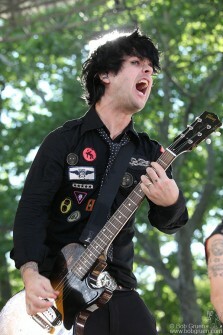 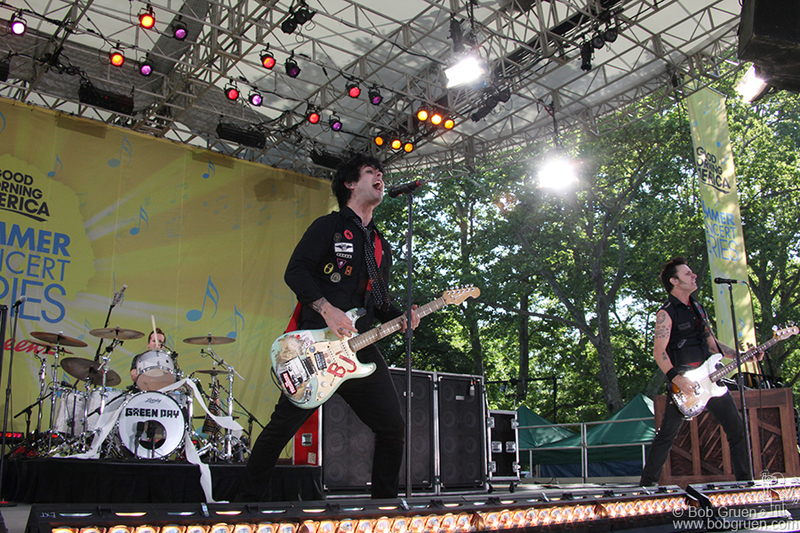 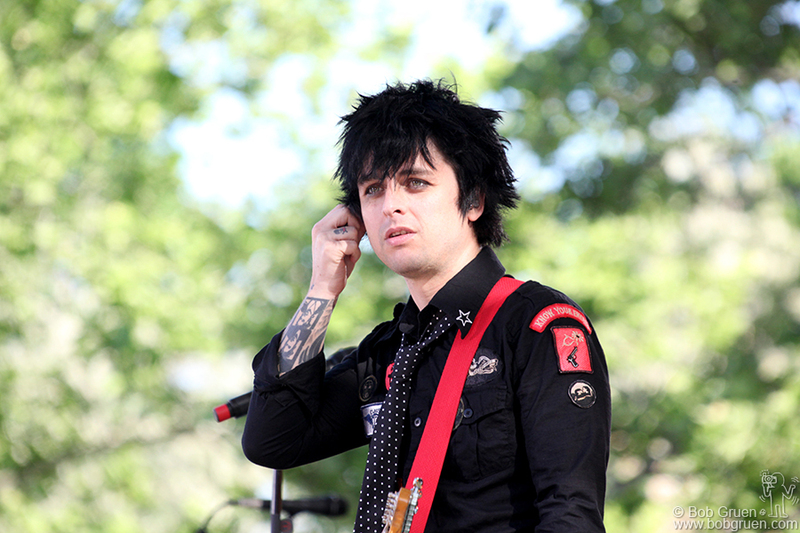 May 22 – Green Day performing in Central Park for Good Morning America. 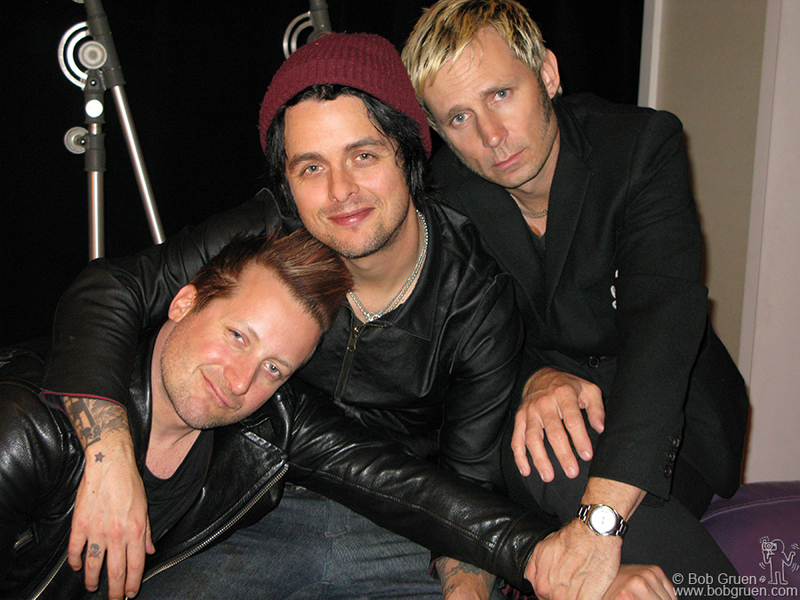 March 31 – Green Day at Electric Lady Studio after hearing the final version of ’21st Century Breakdown’ for the first time. 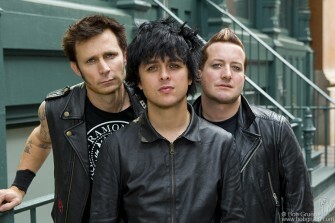 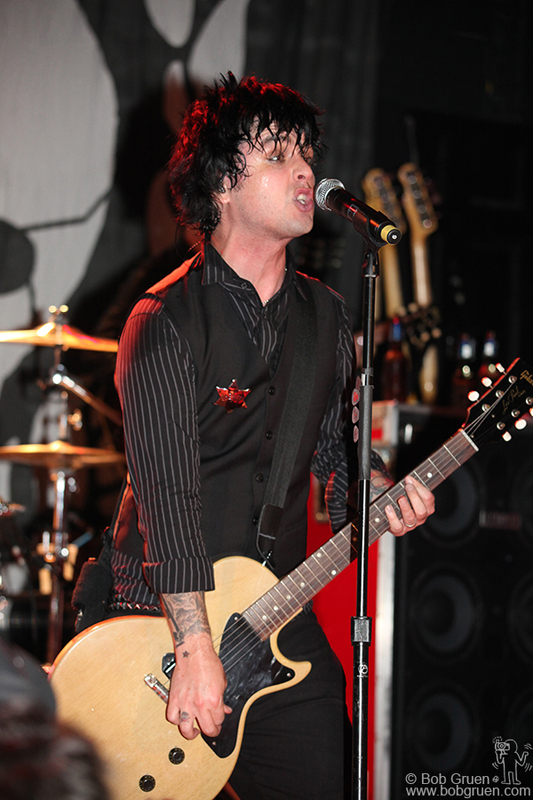 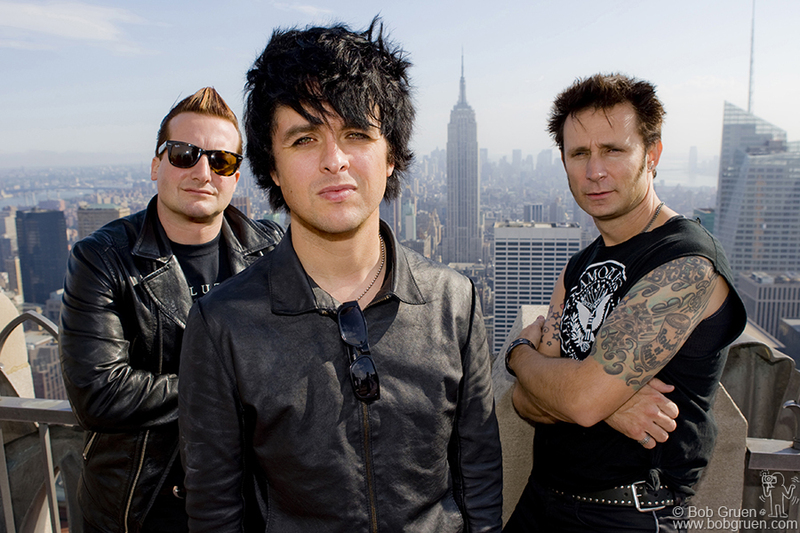 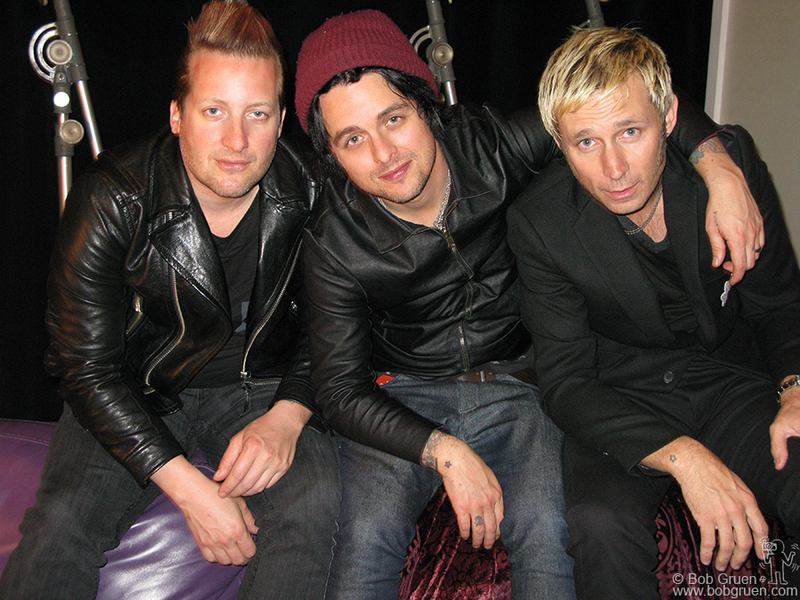 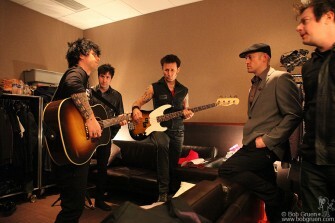 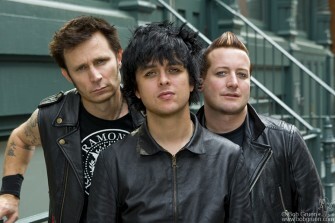 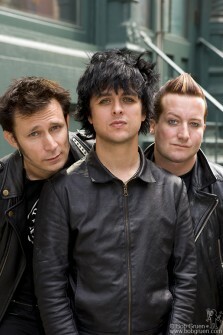 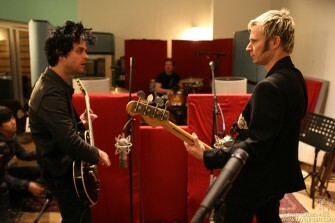 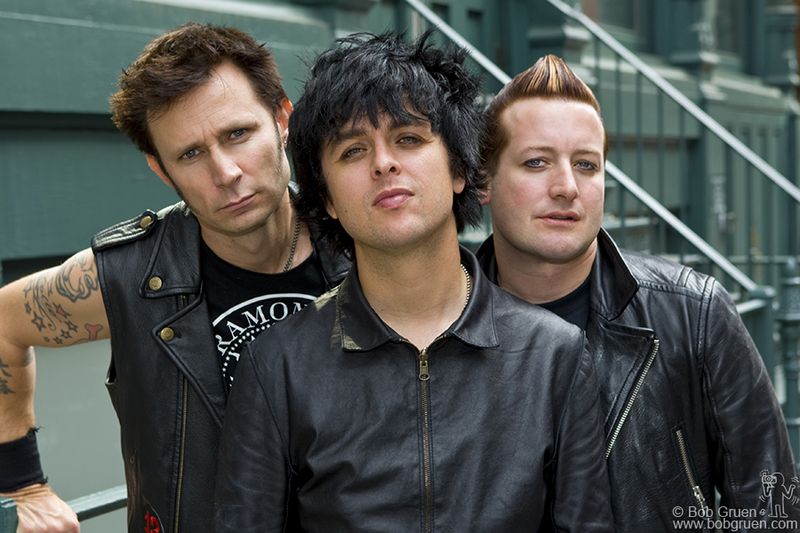 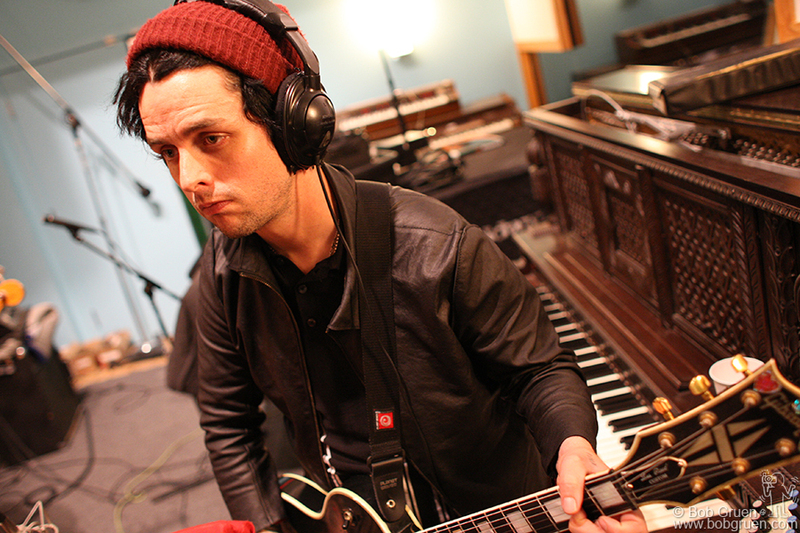 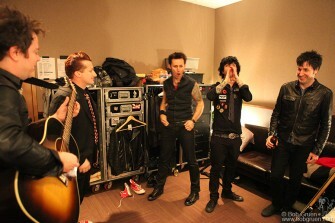 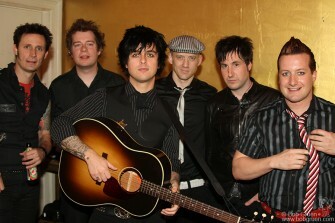 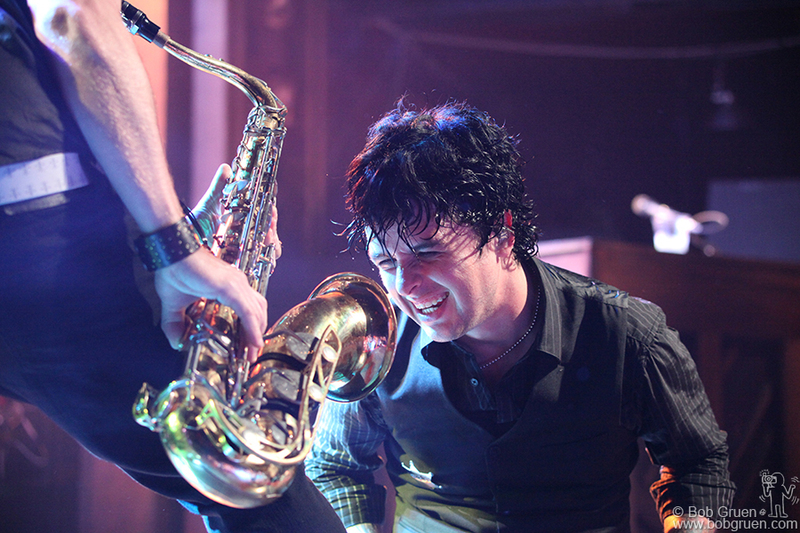 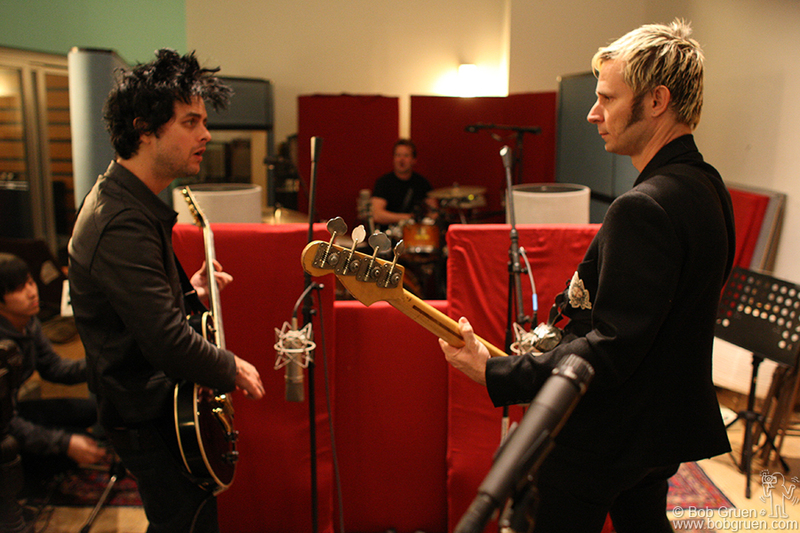 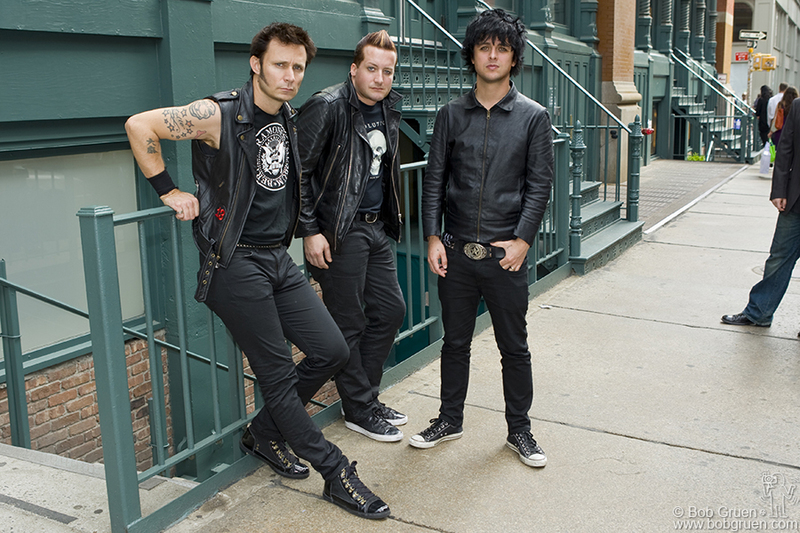 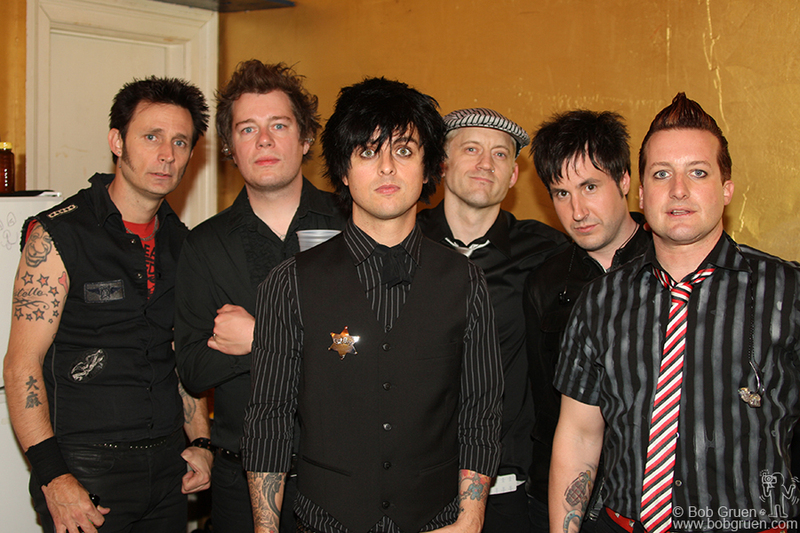 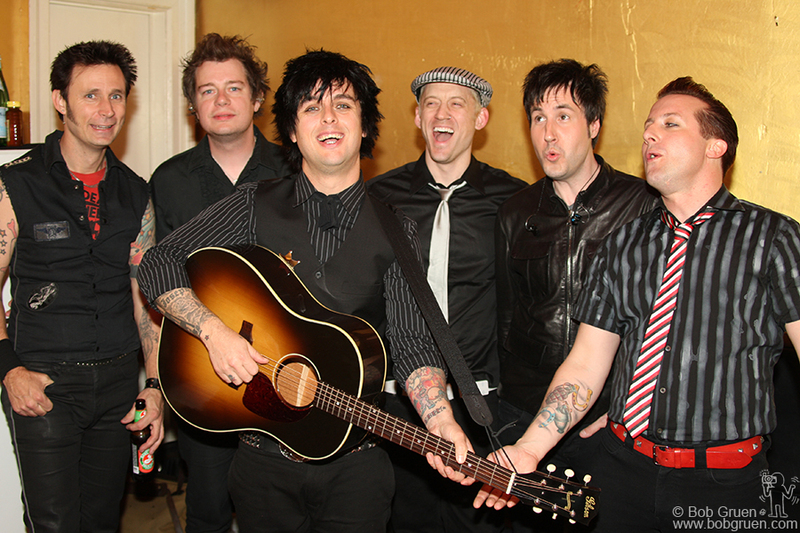 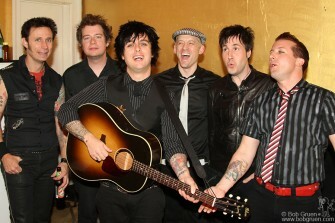 March 30 – Green Day recording at Stratosphere Studio. 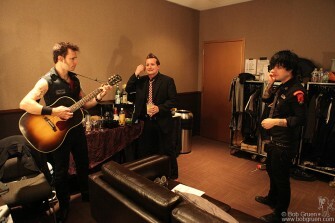 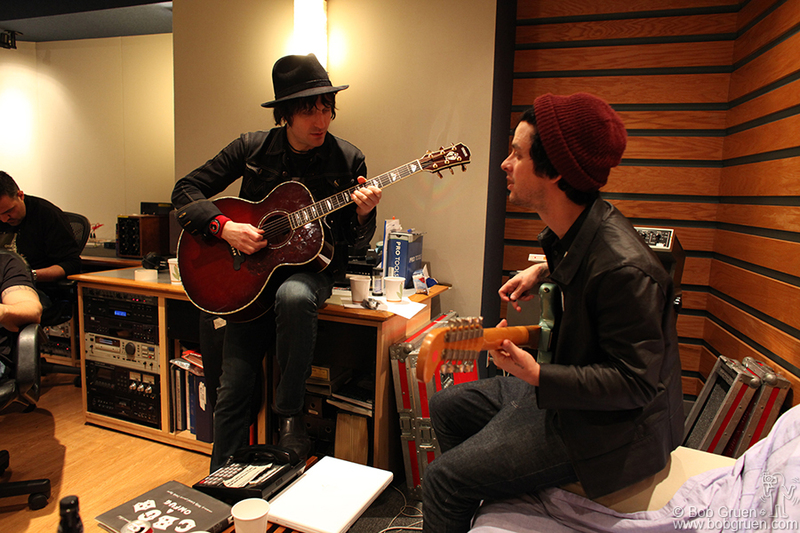 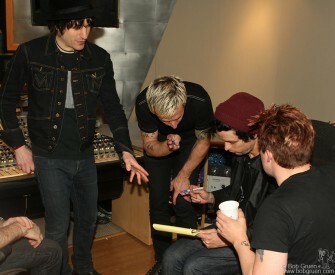 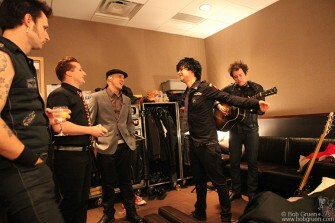 March 30 – Green Day writing a song with Jesse Malin at Stratosphere Sound.